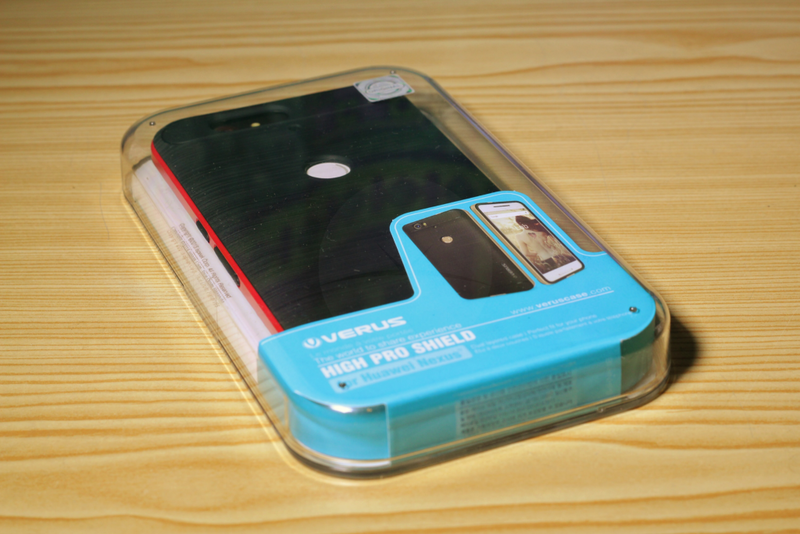 A lesser known phone case manufacturer called Verus has developed a new High Pro Shield case for the Nexus 6P. The case is a two layer type, with a hard plastic rim, available in various colours, along with a TPU backing that surrounds the phone completely, providing the shock protection. The case was fairly easy to slip on. The tpu is bendable though I think the inside is softer feeling than the outside. You’ll notice that the outside has a distinctive, brushed metal texture which I think is rather attractive. The particular colour I chose for the surround was the crimson red, but there is a colour to suit every taste. To put on the surround, I put the bottom of the phone in place first and then eased the top of the surround over the top corners and headphone socket. Verus has wisely decided to make the volume and power buttons, semi-separated from the main body of the case to prevent mashing all the buttons, which has been a problem for other soft cases which can make it difficult to take screenshots. It does require you to be careful with the rim of the case to make sure it seats correctly on the sides, but once pushed into place, the case felt complete. The buttons are made of the same TPU material and feel quite good to press, screenshots are no problem. On the rear of the Verus High Pro Shield the black visor of the Nexus 6P is well protected and the design language of the Nexus is echoed in the contrasting smooth texture. The laser autofocus works just fine and is clearly visible, along with beautifully precise cutouts for the noise cancelling microphone and the fingerprint sensor. The thickness of the TPU backing was a slight worry, in comparison to my previous case, which was the Adopted frost case from the Google Store, but the fingerprint security has had no issue recognising my finger and the extra depth could be seen as an advantage to those who tend to touch the sensor accidentally in their pocket. You can still unlock the phone as you pull it out of your pocket as usual though. Coming from an Adopted frost case, I notice that this one feels harder in the hand, a bit less grippy, and a bit more bulky. I tend to find myself using two hands to hold the phone with this case, as opposed to feeling confident enough to use one hand all the time. On the up side, the secondary rim of the Verus really helps the top edges of the case to grip tightly, there are no loose edges like a standard tpu case. One issue I have found with the case is that my Beyerdynamic headphones do not fit in the hole for the headphone socket. If you have professional headphones, or those with a minijack to ¼” jack connector, be aware that this case is likely not compatible, you could drill out the hole slightly, if confident to do so without ripping the surround apart. Standard minijack headphones fit just fine. 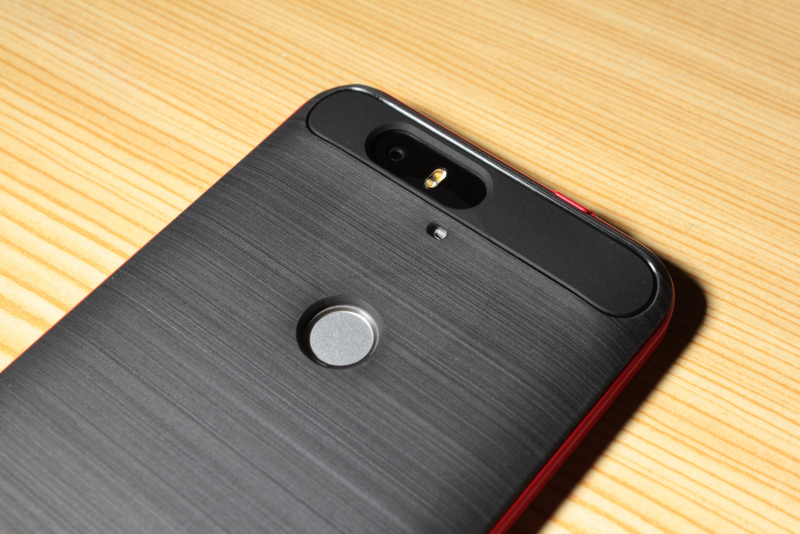 It would be nice if Verus offered an option for a Nexus branded version of the case but overall, this is a solid case that surrounds the phone tightly, and looks great. Priced at £22.99 from Mobile Fun, click the widget below..